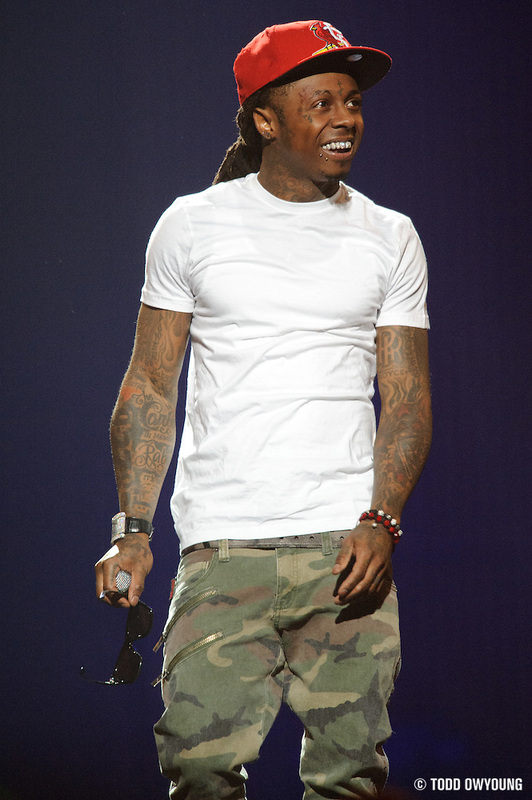 Just a couple shots from Lil Wayne last night's I Am Still Music Tour at the Scottrade Center. Needless to say, this show was a soundboard shoot – not unexpected, nor surprising given that Lil Wayne's I Am Music Tour was also shot at a distance. 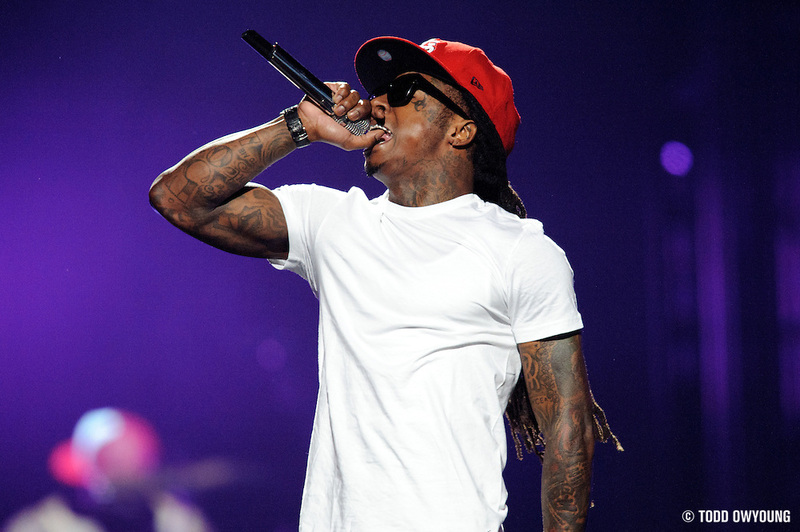 Stay tuned for the full shooting notes and the full set from Lil Wayne, coming up! Like these images? Order prints. Did you have to rent the 400mm, or is that part of your lens arsenal? I have to say, I’ve never seen it listed in your gear for a post. The 400mm f/2.8 is from BorrowLenses.com, as was the 1.7x TC and Wimberley gimbal head. Definitely not a normal part of my kit, but completely necessary for a shoot like this. What is a Soundboard shoot? Yes, this was a soundboard shoot.